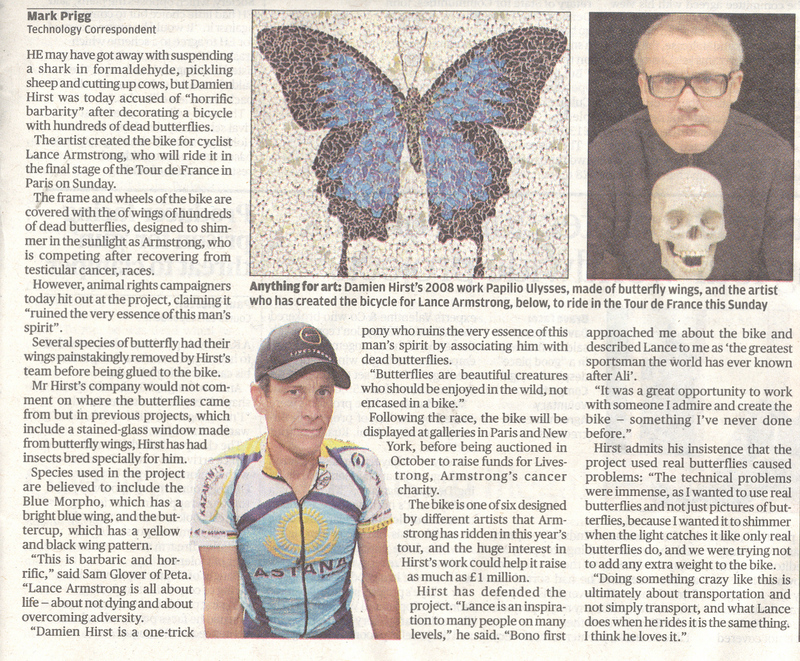 Animal rights activists are up in arms about a new artwork/bike created by Damien Hirst for Lance Armstrong. 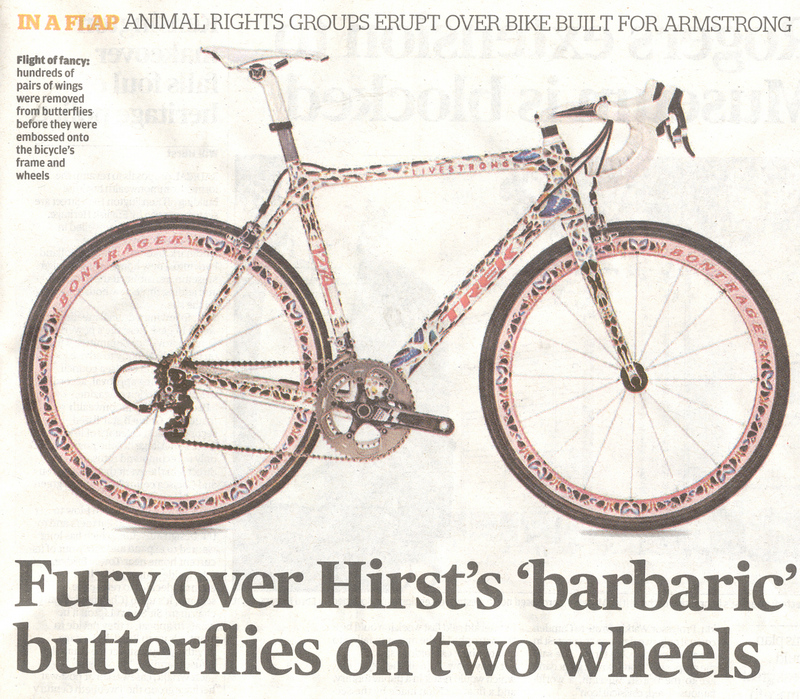 The bike is covered in real butterfly wings which Hirst (or one of his lackeys I imagine) ‘painstakingly removed’. Lance is meant to be riding the bike for the final stage of the Tour De France.